Crimp tool for RJ11, RJ12, and RJ45 style modular plugs. 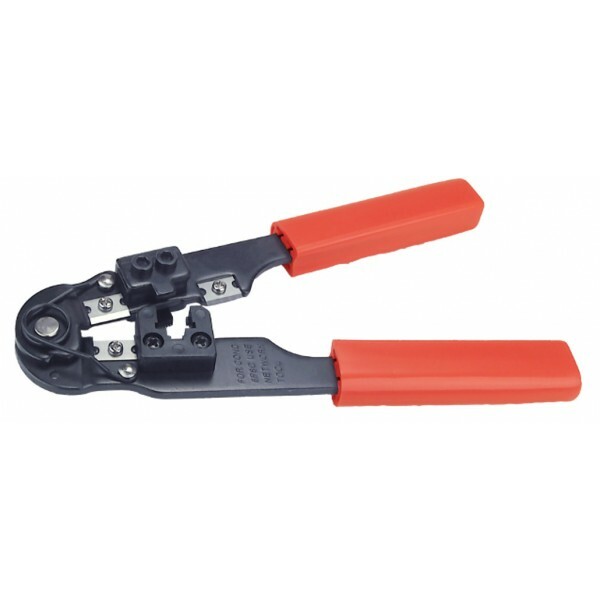 Enables you to crimp solid and stranded CAT5/5e/6 cables and plugs. 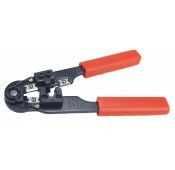 Built-in cable cutter and stripper for faster cable prep with just one tool.